Visiting Disneyland with a child is an unforgettable experience for the parent. Even if your kid isn’t old enough to remember the experience for themselves, seeing the joy as they interact with their favorite characters and with a world practically made for them is bound to be one of the most memorable experiences of a parent’s life. Nonetheless, parents have a lot to consider when taking their kids to Disneyland. 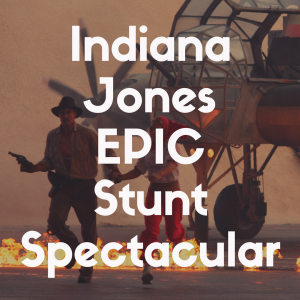 There’s attractions, food, budgets and scheduling. 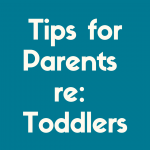 Aligning them all takes considerable time and effort, especially if you have multiple children to consider. 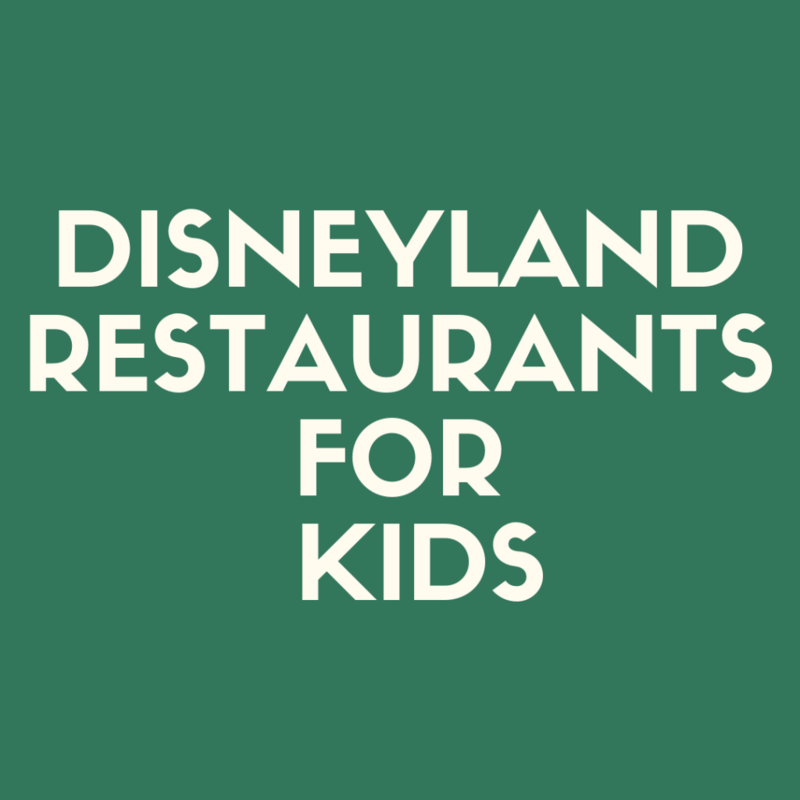 This article aims to lessen the toll all that planning takes by outlining 7 of the best restaurants in Disneyland if you are traveling with children. It considers not only what is most fun for the kid, but also pragmatic concerns like budget constraints and excitable little ones. There is no denying that Corn Dog Castle has unbeatable prices. Located in Paradise Gardens Park in California Adventure, this stand looks like a strange cross between a boardwalk corn dog stand and a Medieval Times. It’s kitschy and silly, but the corn dogs make for a great meal at a great price. The menu consists of only 3 food items: a hot link corn dog, an original corn dog (the one you know and love), and a cheese stick fried like a corn dog. Each option is in the $9 – $10 range, which might seem like a lot for a corn dog, but these corn dogs are unusually large. One of these mighty corn dogs will be plenty to satisfy your small fry. Even adults will likely find this meal filling, as it also comes with a choice between sliced apples or a bag of chips. The cheddar cheese stick and the original corn dog are two excellent options for the picky eater in your family, while the hot link corn dog gives adults something with an extra burst of flavor. When you have an entire day of Disneyland magic ahead of you, convincing a young child to seat and eat breakfast can be a monumental task. Who can blame them? Their favorite characters are nearby! Fiddler, Fifer, & Practical Café is a small café on Buena Vista Street that offers a quick pastry breakfast that you can take with you or eat at the restaurant, so your Disney princess or Jedi doesn’t have to wait to start the day. Although the café is named after the Three Little Pigs from Disney’s 1933 animation of the fairy tale, the walls are adorned with Walt Disney’s inspiration for each pig’s behavior: The Silver Lake Sisters. Dotty, Dolly, and Ethel were a trio of talented musicians from Hollywood’s Golden Age who ultimately changed course to open a café of their own. In spite of the swanky décor, the Fiddler, Fifer, & Practical Café is a casual place and perfectly suitable for young ones who are anxious to start their day. The menu is simple, with breakfast sandwiches, pastries, and a wide variety of coffee drinks. If it reminds you of a Starbucks, that’s because it is! Although Disneyland kicks up the old Hollywood atmosphere, Starbucks provides the menu for the café. Parents can pick up their caffeine starter for the day and little ones can enjoy kid-friendly classics like the chocolate croissant to get them ready for a big day meeting their idols. Altogether, Fiddler, Fifer, & Practical Café is one of the best places to eat breakfast in Disneyland if you have eager kids in tow. With the resurgence of love for Beauty and the Beast following the live action film, Red Rose Taverne has moved from a temporary eatery – taking the place of the Pinocchio-themed Village Haus – to a long-term alteration with no date in sight for Disneyland returning to the old model. 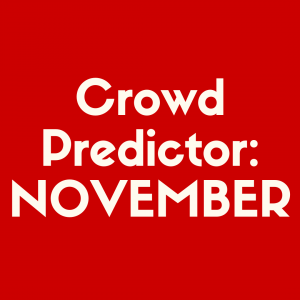 The restaurant has seen enormous popularity with both Annual Passholders and visitors from afar who applaud its creativity and playful thematic ambiance. The restaurant is in the Disneyland Park in Fantasyland, next door to Pinocchio’s Daring Journey. The exterior has a typical European village look that doesn’t strongly differentiate it from its surroundings, but the interior is perfect for your little Belles and Beasts. The decoration blends the animated film with the recent live action film, although the animated film seems to take precedence. And yes, they do use antlers in all of their decorating! Disneyland doesn’t stop at decoration here. The menu features several items that will make your kids feel like they’ve stepped right into Belle’s world. Get ready to reenact the famous pub scene with Gaston’s Famous Brew, a delicious and nonalcoholic apple-mango punch with a passion fruit foam that looks remarkably like beer. For the full effect, take a seat by the mural of Gaston surrounded by, of course, more antlers. Beast’s Forbidden Burger is excellent for parents and older kids with voracious appetites. With pancetta and a gruyere fondue atop a 1/3 lb patty, this burger is as unique as the Beast himself. Finally, don’t forget to try the Grey Stuff, a white chocolate mousse atop a red velvet cake. It’s delicious! If you have an animal-obsessed kid in your family, the Hungry Bear Restaurant is a great place to grab a meal. This counter service restaurant is in Critter Country, an area of Disneyland dedicated to animals. The area has a woodland creatures vibe, largely pulling from its main rides, Splash Mountain and The Many Adventures of Winnie the Pooh. If you haven’t been to Disneyland in a long time, or you are more familiar with Walt Disney World, you may go looking for Country Bear Jamboree. Unfortunately, Country Bear Jamboree closed in 2001, but Hungry Bear Restaurant still has the campy campground feel of the animatronic bears’ performance. As the restaurant is located next to the Rivers of America, you and your kids will love watching Davy Crockett’s Explorer Canoes make their way through the river, as well as the occasional appearance of the Mark Twain Riverboat or the Sailing Ship Columbia. Seeing a replica of an 18th century ship on a river in the woods is certainly not an experience you can have anywhere else! Aside from the intermittent boat anachronism, Hungry Bear Restaurant serves up a surprisingly authentic and down-to-earth experience. After a day of character meet ups and FastPass strategizing, this spot offers a moment to rest and regroup before launching back out into the world. Hungry Bear Restaurant serves Southern dishes with plenty of slaw and interesting sauces to go around. Toddlers will adore the Yummy Cheesy Macaroni, served with an applesauce pouch and low-fat milk. The Crispy Fish Sandwich is also incredibly good for a counter service restaurant. The citrusy mayonnaise gives the perfect amount of tang to complement the fish, and the Sweet and Spicy Slaw strikes a perfect balance between sweet and spicy. Although the slaw is not incredibly spicy, those sensitive to spice may prefer the BBQ Chicken Salad. Although the dish is only a salad in the loosest sense of the word, the tomatoes and red cabbage add enough greenery to keep you feeling spry. To round off this celebration of Southern American food, each entrée comes with a side of House Slaw (different from the Sweet and Spicy Slaw), but this can be traded out for fries if slaw isn’t a favorite in your family. Before you venture back into the bustle of Disneyland, take a moment to enjoy the Churro Funnel Cake, the shining culmination of all theme park food. Although the funnel cake is hopelessly messy, splitting this whipped cream-topped adventure with your family makes for an unmissable photo opportunity. Flo’s V8 Café is one of the most striking buildings in all of Disneyland. Based on Flo’s V8 Café from the film Cars, this roadside diner features tons of neon and metallics that give it the feel of a real Route 66 attraction. Flo’s V8 Café sits just on the edge of the Radiator Springs Racers, an attraction in Cars Land in California Adventure. Watch the races through the desert landscape while you enjoy your meal or dine inside in one of the café’s themed rooms. For the little car enthusiast in your life, nothing could be more memorable than a meal surrounded by both car and Cars memorabilia. Flo’s V8 Café is open for breakfast, lunch, and dinner, with tasty options for each time of the day. Every meal at Flo’s feels like it belongs in a roadside diner and that thematic coherence makes Flo’s such a great option. Many of the menus at Disneyland feature repeats of the same food, even when that food has virtually nothing to do with the mood presented. Flo’s has an American breakfast on the menu that would fit in perfectly in a real-life diner. The breakfast consists of scrambled eggs, potatoes, fresh fruit, and turkey bacon that’s just as flavorful as the more traditional pork option. They also have waffles, but not just any waffles! These waffles come stamped with characters from the Cars franchise. If your little one is a fan, this will absolutely make their eyes light up. Parents and older kids will fall in love with the Brioche French Toast. Brioche French toast has become a bit of a trendy item, but this one comes topped with caramel and bananas that will remind you of Bananas Foster. The Chicken Fenders make for a great lunch and dinner option – as well as a great pun. They come with both fruit and carrots to keep the kids feeling great all day. Finish off with one of Flo’s Classic Shakes in vanilla, chocolate, or strawberry and you have a wonderful pit stop for the whole family. If you have made it as far as planning your family’s Disneyland vacation, you probably already have character dining in the back of your mind. 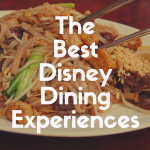 These are experiences where you eat a lovely meal while a cast of Disney characters comes around to each table to interact with your family. It’s an absolute delight for the kids and parents often find themselves having far more fun than they expected. While these experiences are more expensive than most meals in the park, they are not as prohibitively expensive as many believe. The adult prices are in the $40 to $50 range, but kid’s tickets generally fall in the $20 to $30 range. Certainly expensive, but not quite the “rice and beans for a month” prices one might expect from such a magical dining experience. Minnie & Friends is ideal for kids that love Disney but haven’t latched onto a single character or are attached to a character that rarely makes an appearance. Minnie Mouse hosts her breakfast at the luxurious Plaza Inn, a restaurant on Main Street, U.S.A., decked out in a lavish Victorian decoration. Each morning, a different cast of Minnie’s friends join her, so you never know who might pay her a visit! Minnie appears to be better friends with classic Disney characters and animal characters, but she has hosted nearly everyone over the years. The characters make their rounds to each table, so everyone gets their chance without having to wait in line and there’s not a huge gap between character appearances. Character dining is easily the most efficient way to meet a ton of characters and could save you quite a bit of time in line later in the trip. The food is a buffet spread of everything that could possibly be considered an American breakfast: fruit, Mickey Mouse waffles, hash browns, even an omelet station! Plaza Inn has one of the best reputations for delicious food at Disneyland and the cast members behind the scenes work hard to keep this buffet just as delicious as any other Plaza Inn meal. Goofy’s Kitchen is fundamentally very similar to Minnie & Friends, except for a few key points. The first is, obviously, Goofy hosts Goofy’s Kitchen, not Minnie. Goofy hosts his breakfast and dinner at the Disneyland Hotel, which has the upside of being easily accessible for those staying at the resort and not requiring a park ticket, but the downside of not just spilling you directly into the park when you’re done with breakfast. The biggest difference between Minnie & Friends and Goofy’s Kitchen, however, is the tone of the event. Goofy’s Kitchen, like the dog himself, is much sillier. It’s not that Minnie & Friends is a stoic affair, just that Goofy’s Kitchen feels almost experimental and, well, goofy. Younger kids especially will enjoy Goofy’s antics and the more casual setting of a hotel. It is this childlike sense of fun that makes Goofy’s Kitchen the best character dining at Disneyland. Perhaps most notable is Goofy’s Famous Peanut Butter Pizza, a twist on a peanut butter and jelly sandwich that kids and parents alike will love. Unfortunately, Goofy only makes this pizza for breakfast, but dinner does include such silliness as the Goofyroni & Cheese. Because Goofy’s Kitchen does not require a park ticket, many choose it for their last breakfast at Disneyland. 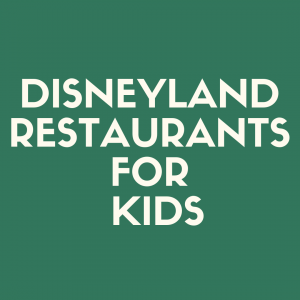 This gives your kids a chance to leave on a high note and minimizes the post-Disneyland blues. Everyone in the family, including the parents, will enjoy Goofy’s family-friendly cooking and the pictures are bound to take a prominent spot among your treasured family photos.